For thousands of years, human remains have been preserved in charnel houses and ossuaries. Originally, these sites were simply a more practical alternative to burial: a body would be interred only temporarily, and, after decomposition, the remaining skeleton would be placed in an ossuary or charnel, thus reducing the demand for graveyard space. 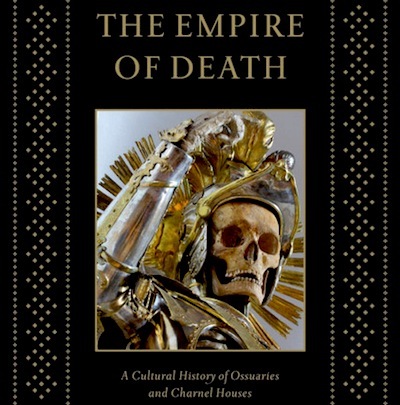 The Empire Of Death: A Cultural History Of Ossuaries & Charnel Houses, by Paul Koudounaris, is the first full-length study of these macabre places. In his introduction, Koudounaris briefly outlines cultural attitudes towards death, citing Mary Douglas, Julia Kristeva, Norbert Elias, and Mikhail Bahktin (though not Georges Bataille). In chapters with evocative titles such as The Triumph Of Death, Koudounaris presents an international history of charnels and ossuaries. His survey includes charnels with piles of disarticulated skeletons (such as St Catherine's monastery in Sinai, Egypt), decorative skulls displayed in European churches (notably Rome's Capuchin Crypt), and underground tableaux of clothed, mummified bodies (most famously, the Capuchin Catacombs in Palermo, Italy). There are countless skeletons displayed in each ossuary, with rows of neatly-aligned skulls filling entire walls. The Sedlec Ossuary in the Czech Republic, for example, is a chapel decorated with thousands of skulls and bones, including an enormous skeletal chandelier. The book (published by Thames & Hudson) is beautifully printed, resembling an old Bible with its gold-embossed covers and manuscript-style typography. This is appropriate given its emphasis on Christian ossuaries and charnels. (The text excludes pre-Christian traditions, such as the Mayan and Aztec tzompantli.) There are extensive notes, and numerous full-page images photographed by the author. 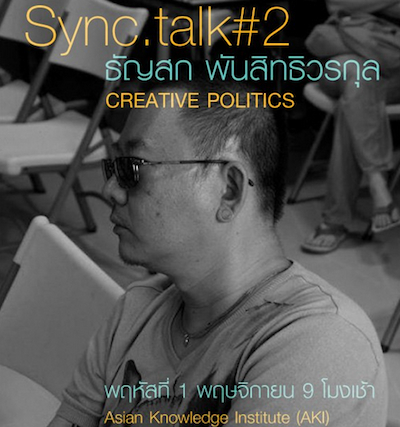 Thunska Pansittivorakul will give a presentation on Creative Politics this Thursday, at the second Sync Talk session. The event will take place at the Asian Knowledge Institute, Bangkok. Thunska has directed numerous short films (most recently, 2060) and several features including This Area Is Under Quarantine, Reincarnate, and The Terrorists. 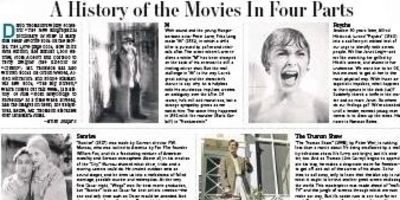 Today's edition of the Wall Street Journal features A History Of The Movies In Four Parts, a guide to "four landmark films" selected by David Thomson. (Thomson's book Have You Seen...? has a list of 1,000 films.) The four films profiled in today's concise article (in the Weekend Journal supplement) are M, Psycho (the subject of Thomson's book The Moment Of Psycho), Sunrise, and The Truman Show. 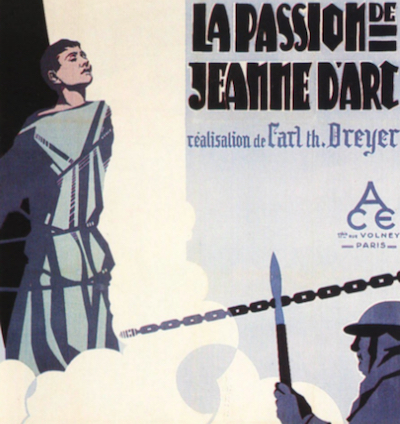 Design Nation, a festival of music, performance, film, and visual art, opened at the Pridi Banomyong Institute in Bangkok on 29th September, with a screening of Carl Dreyer's silent classic The Passion Of Joan Of Arc. The festival ran until yesterday. 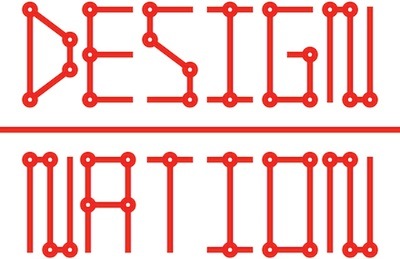 Last night, Design Nation closed with an evening of four film screenings. A Retelling Of Dystopia I (by Nopadol Boonyai) and II (by Teerawat Mulvilai) are edited versions of 1970s action movies with comical live dubbing (as in What's New Pussycat?). The Island Of Utopias (by Pramote Sangsorn) features a poor man searching through the rubble of a collapsed building. Finally, Thunska Pansittivorakul's 2060 is an extract from his forthcoming feature Supernatural. 2060, set forty-eight years in the future, features three men reciting the rules of citizenship (respecting the nation, religion, and monarchy), and discussing a birthday speech by "the Leader". There are echoes of George Orwell's 1984, though it's also a comment on contemporary Thailand. Cutaways to posters of Communist dictators highlight the power of propaganda and cult of personality. The film ends with direct criticism of the Thai military, featuring photographs from the October 1976 massacre and condemning two former generals (the sanctimonious Chamlong Srimuang and the unrepentant Pallop Pinmanee). 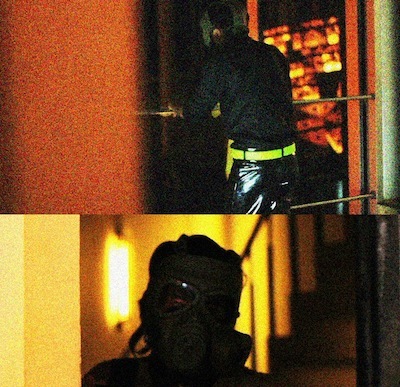 Thunska has previously directed numerous short films, and his features include This Area Is Under Quarantine, Reincarnate, and The Terrorists. Muji Product Fitness 80, an exhibition of Muji-designed products, opened at Central Chitlom, Bangkok, last week, and will run until 22nd October. 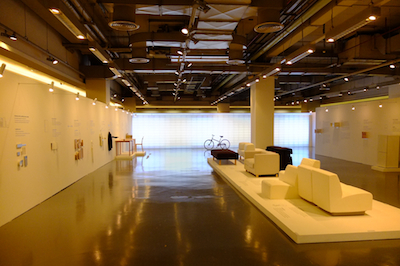 The suitably minimalist exhibition includes a small collection of Muji posters. Industrial designer Naoto Fukasawa gave a presentation on the opening day, 9th October, though strangely his most famous design - a Muji wall-mounted CD player - is not part of the exhibition. Cactus River, Apichatpong Weerasethakul's latest short film, premiered on the Walker Art Center's website earlier today. The film is an observational documentary filmed in black-and-white, with some scenes speeded up and others slowed down. It stars Apichatpong's regular collaborator Jenjira Pongpas (who also appears in Uncle Boonmee Who Can Recall His Past Lives, Mekong Hotel, Morakot, The Anthem, Luminous People, and My Mother's Garden), who has now changed her name to Nach Widner. 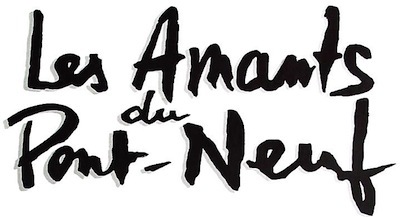 Apichatpong's previous online short films are Ashes, For Alexis, Phantoms Of Nabua, Mobile Men, and Prosperity For 2008. 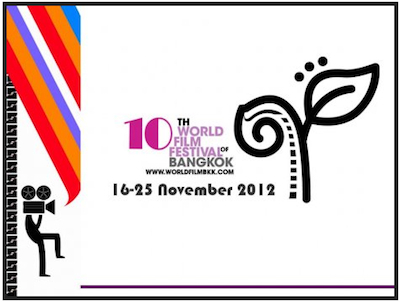 The 10th World Film Festival of Bangkok will open on 16th November with a screening of Apichatpong Weerasethakul's new film, Mekong Hotel. This semi-documentary is set on the Thai/Laos border, like Apichatpong's recent Primitive films. It will be screened again on 21st November. 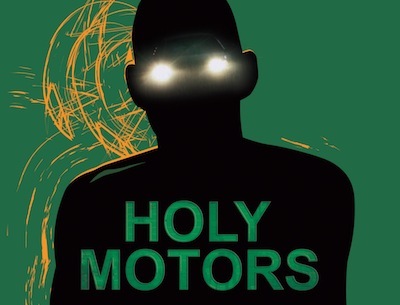 Leos Carax's eccentric new film, Holy Motors, will also be shown (on 17th November including a Q&A with Carax, and then on 22nd November), alongside his classic romantic drama Les Amants Du Pont-Neuf (on 19th and 22nd November). Holy Motors is full of references to French cinema history, including Etienne-Jules Marey's Chronophotographie and Edith Scob once again wearing the mask from Eyes Without A Face. The opening-night screening of Mekong Hotel will be at Paragon Cineplex (the venue for the 6th, 7th, and 8th Festivals), with subsequent films showing at Esplanade Cineplex (the venue for the 5th Festival, and the 9th earlier this year). The Festival will close on 25th November. The Iranian newspaper Shargh was shut down last week, and its editor Mehdi Rahmanian was arrested, after the newspaper printed a cartoon commenting on the Iran-Iraq War. 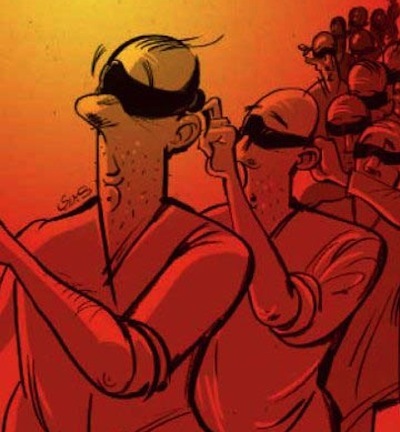 The cartoon, by Hadi Haydari, was published on 25th September, and shows Iranian soldiers blindfolding each other. 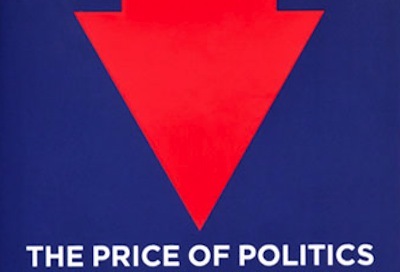 The exhaustive detail limits the book's scope: the negotiations are covered in depth, but this sidelines any coverage of wider economic issues. (Ron Suskind's Confidence Men had a broader scope.) Also, Obama and Boehner's disputes are already familiar, and their bargaining and quibbling don't exactly make for a riveting read.